Marc Jacobs is launching their new Shameless Foundation on Friday, 2.09! Marc’s existing foundations are so highly regarded that any new additions to the fam are going to have to live up to the high standard that’s been set! This new foundation comes with a fabulous shade range of 29 total shades in the initial launch! This will be available at a number of retailers including Sephora, & Neiman Marcus for $46. Eeeeeeeep, so steeeeeep! Fun fact: This was also the foundation that Lady Gaga wore to the grammys! The formula is said to be medium buildable coverage, flashback-free (without ashy undertones). The skincare benefits include SPF 25 and lots of hydration. It blends seamlessly, PLUS it’s oil-free and has 24-hour longwear formula (apparently it’s self-setting? which means you get a fresh, natural finish that lasts all day). This shade range is seriously what we are talking about! 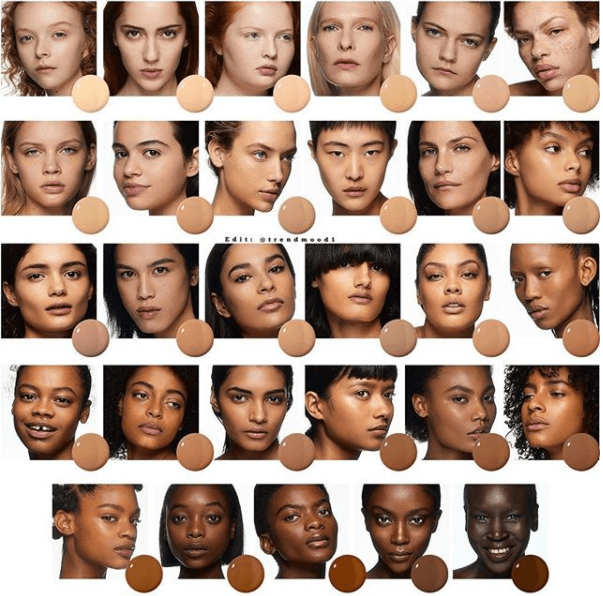 I think it’s safe to say that brands are learning from the Tarte Shape Tape Foundation fiasco and know better than to exclude like, the majority of the world population from their range. We also totally love the marketing for this – the photo above is just so inclusive and all of the women are so gorgeous and we basically just love everything about it. The claims even sound incredible! We are a bit iffy about the medium coverage claim, though. In my experience, whatever coverage the foundation claims, you have to assume it’s slightly lighter. You know how we all have that one friend that is literally always late so we have to tell them to be where they’re going at 5:30 for something that actually starts at 6? It’s like that! You have to get ahead of the issue to avoid disappointment. For this, I’m thinking it’s going to end up being a lighter coverage foundation. 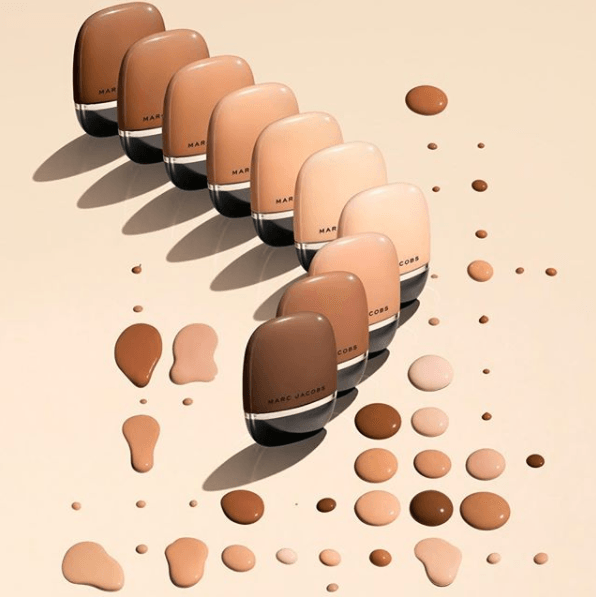 Mostly because it claims to be more than that but also because the Re(marc)able foundation is HELLAAA full coverage, so it makes sense to add something on the other end of the spectrum. We’ll have to wait to see it in action to know for sure!